For every 1000 accounts prospected in a given quarter, how many opportunities should an SDR group generate? That question can mean only one thing, it's time for the latest release of the Outbound Index. For those unfamiliar, the Index is a collaboration between Pete Gracey, CEO of QuotaFactory, and I into the metrics of outbound prospecting. With each release, we provide an 'outbound snapshot' powered by actual, transactional CRM data. 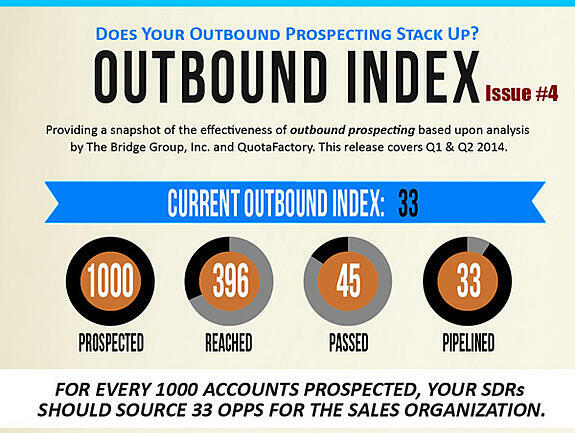 In other words, we don’t ask ‘Hey, how’s the prospecting going?,’ we dig into the data and find out the truth. 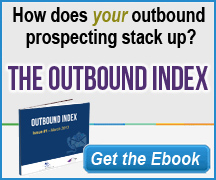 You can download the full ebook here: Outbound Index - Issue #4. In it, we walk you through the data, methodology, and our analysis. I hope the Index gives you a jumping off point for discussions within your organization. 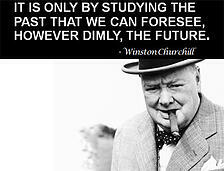 Are you outperforming? Then print this out, walk down to your CEO's office, and demand a raise. You deserve it! Are you trailing? Take a look at the 3 KPIs, dig into your own, and see where you are off.